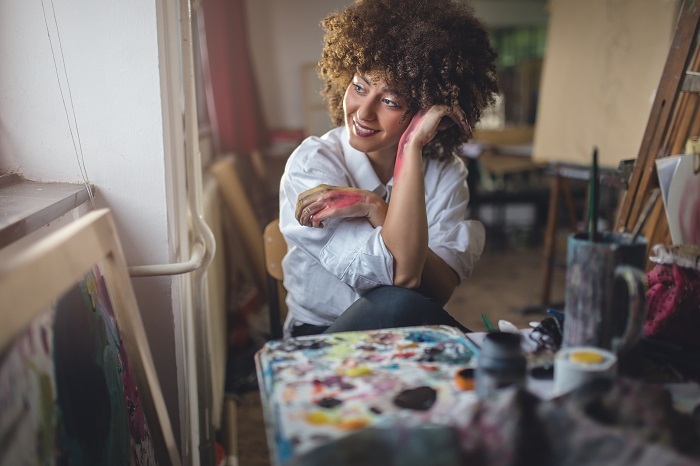 Traits of perfectionism are linked to mental health issues like anxiety, obsessive-compulsive behavior, and stress as well as negative emotions like worry, fear of negative judgement, and inadequacy. If your perfectionistic tendencies cause you daily distress, it is important to seek help. A therapist or counselor can help you gain new perspectives about yourself and your goals. This may reduce your levels of negative emotion and even help you achieve your goals more efficiently. Perfectionism is often associated with vulnerability and a lack of resilience. The trait may also cause relationship problems, since people who aspire to perfection may expect that same level of perfection from those around them. Through this expectation, they may become critical of a spouse or partner. Those who have perfectionist qualities are also less likely to disclose their pain to others, as doing so could expose them as less than perfect. They may not be as likely to seek treatment for issues resulting from their attempted perfection. Perfectionism can be measured using the Multidimensional Perfectionism Scale, which can provide mental health professionals with insight into specific sources of perfectionism. For instance, an individual might be a perfectionist in one domain but not another. This scale was developed by Gordon Flett and Paul Hewitt. They also developed the Perfectionistic Self-Presentation Scale, which rates perfectionistic behaviors in self-presentation. It seems to predict psychological distress due to perfectionistic tendencies to a greater extent than the original scale. In therapy, you may discuss the roots of your perfectionism with a therapist who can help you learn healthier perspectives. But what approaches might you encounter when seeking therapy for perfectionism? Cognitive behavioral therapy (CBT) is often used to address perfectionism. This method can demonstrate that perfection is not the end goal of each undertaking. It also helps emphasize flawed beliefs, or biases, a person may have about the things they feel need to be perfect. For example, it can illustrate that one minor failure in an effort to reach an overarching goal is not a good reason to stop striving toward that goal. Family systems theory is one model sometimes used to address perfectionism. In some cases, this type of therapy can help explain how perfectionism developed within the family unit and affected an individual as a member of that family. Hypnotherapy has helped some people change perfectionistic thought patterns. It does this by addressing and adjusting “all or nothing’ thinking, which is often a common trait in perfectionists. In a talk therapy session, a therapist may also use one of the scales that measure perfectionism to help pinpoint the ways in which perfectionism affects you. If perfectionistic thinking is causing you stress, there are steps you can take to work toward healing on your own. You might use one of these practices as you search for the right therapist. A therapist can help you deepen the work you do to reduce the impact of perfectionism on your life and support you as your progress toward your goals in a healthy way. Challenge “black or white” or “all or nothing” thoughts. Remind yourself that one slip-up does not ruin the progress you’ve already make and are still making toward a goal. Remind yourself that everyone has flaws and makes mistakes. Write down or journal positive affirmations about yourself in the area or areas you are the most perfectionistic. Place them somewhere you see them often. Be aware of your self-talk. Do you use words like “should” or “must,” or do you put down on yourself often? Think of positive replacements for negative self-evaluations. Mess up on purpose. Find an activity that you are particularly perfectionistic about and don’t put in 100% effort. See what happens. Try a new hobby. Trying something new often means starting at a beginner level; the likelihood of making mistakes is often high in any learning process. Focus on enjoying the new activity at your current skill level and pay attention to the learning process rather than the end goal. Not all of these suggestions will work for everyone. If you are having a difficult time letting go of a perfectionistic behavior, forcing the issue on your own can make the situation worse. Working with a therapist can ensure that you have compassionate support and guidance as you practice letting go. Therapy to treat perfectionistic behavior: Lena, 34, is encouraged to enter therapy by her wife. Her wife tells her that she asks too much of their 9-year-old daughter, Abbie. Lena admits to the therapist that she does want Abbie to do well. She often encourages her to try harder in school and at her voice lessons. Lena becomes defensive in the session, telling the therapist she does not put any more pressure on Abbie than Lena's parents put on her. She claims that she turned out just fine. The therapist notes how Lena's tone changes when she mentions her parents and questions her further. Eventually, some resentment is uncovered. Lena felt this resentment due to being required to take both ballet and piano lessons as a child while still being expected to maintain top grades in her class. This left her with little time of her own. The therapist encourages Lena to apply these feelings toward her treatment of Abbie. Lena remembers what it felt like to be pushed to succeed and admits she may have been too pushy. Once Lena begins to be truthful with the therapist, she shares the stress and anxiety she feels as a result of still trying to be perfect. She feels she must be a perfect mother, a perfect employee, and a perfect woman. Over several sessions, the therapist works with Lena to help her reframe these thoughts. Lena puts these thoughts in terms that are more accepting and accommodating of her strengths and weaknesses. As part of her treatment, Lena is also encouraged to share anecdotes of her own mistakes and failures with Abbie. This reinforces the fact that she is not perfect and that Abbie does not need to be, either.